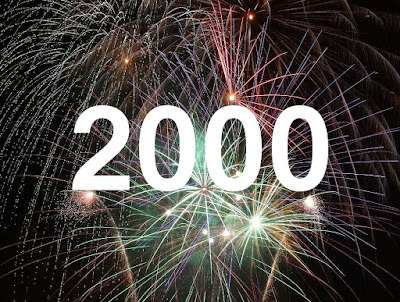 Just yesterday, June 8th, 2015 , I surpassed to 2,000 page view mark on my blog all-time. That may not sound so big to you but it is a pretty big deal to me. And I want to thank you for it all! 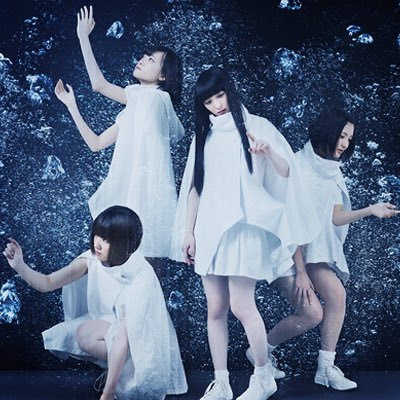 I started this blog due to inspiration from a fellow J-Pop blogger named James Reed over at This Is Your Wake Up Call (link is in affiliates) and he also runs a website dedicated to young idol groups. I started back in July 2014 without the knowledge of how to write for a blog , as you can tell in my early articles. I didn't do it for views or money and such. I did it to spread awareness for the groups I really like. At that point when I started, I told my family and co-workers that I wanted to do this and I got mixed reactions. I settled with myself that maybe listening to J-Pop would only be a phase and that I would get over it and move on to something different. So, I didn't write for a couple of months. I saw James' blog posts and I thought that I could do it. One Sunday afternoon, I sat down at my laptop and opened blogger and got comfortable. I had no idea who to write about. I was into BABYMETAL and Sakura Gakuin at that point, which led to the decision of Sakura Gakuin. I wrote that article for five hours and I know it looks like doo-doo, but give me a break, it was my first time. I didn't know how other readers would enjoy it, so I kept writing. I began to get into other smaller groups and wrote about them, including the disbanded Kiketsu! Tropical Maru, which is now known as Ru:Run and Karat! Haratane. My viewer rating wasn't that great, so I branched out a little and started to write about a little more popular groups. Before Christmas hit, I contacted the group Miniature Garden and got a interview from them. Not knowing what I had done, I published it and it has stood as the top viewed article ever. I honestly hope something beats it though. I ran into AKB and Nogi 46 around that time as well and fell in love. I joined a couple of Facebook groups that they had and began to chat with the members and I never realized how much music can bring people from all over the world together. I slowly and surely was getting back into a groove after that. I began writing better and having more fun being a weirdo to everybody around me jamming out to Sonna Baka Na... by Nogizaka46. At that point, I made the decision to visit Japan and witness the idol culture for myself. I never found nicer people in my life that the wotas I found there. Anywho, I had that interview with Notall and got home and stopped writing for a month recently because I was having writers block. Who do I write about? So after much self motivation, I released my AKB article a couple days ago and to my surprise people liked it. The only drawback to being a blogger is people not commenting. Sometimes people do but it is super rare and I hope that changes because I don't mind if you give me constructive criticism at all or just want to say Hi! There is a special piece of my heart that is dedicated to each and every one of these people and groups that I mention. First and foremost, I would like to thank all my family and friends who have stuck with me being a doofus for so long and the encouragement I have received from y'all has been enormous. I know I might be annoying but I really appreciate it. I would like to thank the idol group Miniature Garden for that interview I had with them. I really hope all your careers blossom in the future and you become a top idol group in Osaka. I also want to thank the idol group Notall (Katase Narumi, Tasaki Reina, Watanabe Chiko and Sato Haruka, Mr. Shingo Yamamoto) for putting up with my lackluster Japanese skills and believe me, I do plan on seeing you in concert. You girls hold a big piece in my heart, Keep doing what you're doing and you will succeed. I want to thank my main man @HiloinEnglish on Twitter for being one of my first followers and sharing some of my good posts. I hope to meet you someday. Speaking of social media, I would like the people of the following pages to know that thay also hold a piece to my success: Unko, AKB48 Team 8 Lounge, Nogizaka46 International Fanclub, Crazy For Underrated Idols, and Fukuoka Idols. Plus a big shout-out to my favorite J-Pop YouTubers, the guys at basugasubakuhatsu!, Boykun and RJ. When I first started getting into J-Pop I saw your reaction videos every single week and I really enjoyed them. They have been a weekly ritual. I may not get to see it live streamed because I work on Friday nights but I do enjoy watching the replay of the show. I have suggested a couple of videos to you such as Cupitrons' Unicorn Parade and Sunmyus' 8th single video and you watched it. I was so elated to have you see them, so thanks. All of you have been such great help throughout this experience. I hope to meet all of you someday. Seriously. I want to send a big thank you to Bethany Walker and Alvin Tam. They have been so much help when it came to my posts and Mrs. Walker also hosts a Idol Matsuri in Seattle, Washington. Last but not least, to James. When I started this, I didn't know what to do. 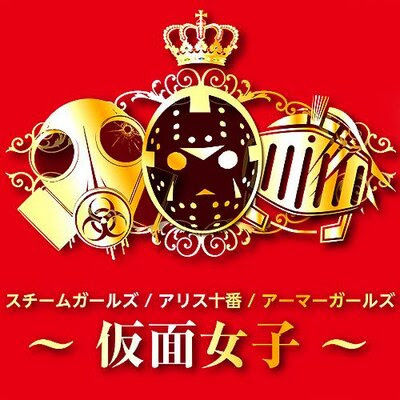 You gave me constructive criticism after my Sakura Gakuin article, which was a big help. I thought that you wouldn't like me for trying to make a idol blog similar to yours so I backed off of some of the groups you have written about for that sake. You will still be a good man to rely on if I have any dumb blog questions. There comes a point where you can't go on writing. I'm not at that point. I love what I write about and I love where it is headed, so with that said I will still be in your care. You can follow me on Twitter or quite possibly leave a comment. Please?